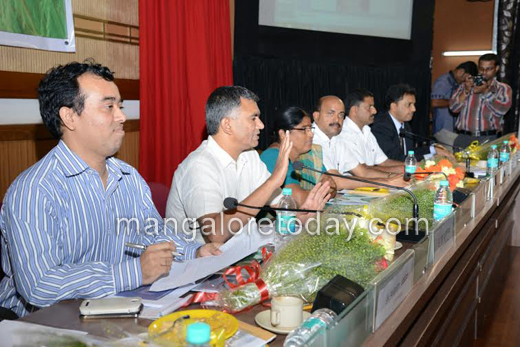 Mangalore, Sep 17, 2014 : Chairing review meeting at Dakshina Kannada Zilla Panchayat in Kottara here on September 16, Agriculture Minister Krishna Byre Gowda reminded that the department is not a sales agency, but it is an extension of the government. The department should provide modern technology, developed breeds and mechanisation to farmers. 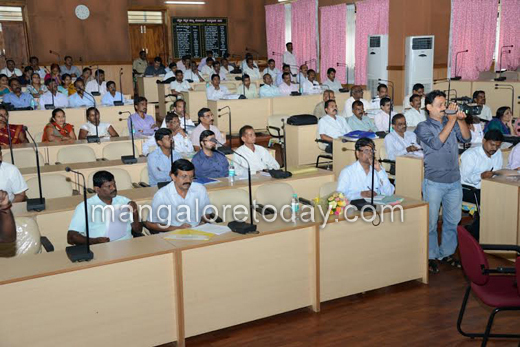 The minister said the district has got six to seven staff in addition so that they can work in Raitha Samparka Kendra (RSK) and officials can spend more time in the field. There are around 40 farmer facilitators and if needed the government is ready to give additional training to them. The district will get more staff in future gradually. There is no room for shortage of staff. The government also directed various university research centres of the state to conduct specific research for new paddy breeds for Malnad and coastal districts. If the officials design special programmes with the co-ordination of Self Help Groups (SHG) the department will surely respond, he said. The minister said that subsidies won’t help farmers the farmers. Kerala model packages would work as incentives only. In other districts, in every acre, farmers grow an average 35 to 40 quintals of paddy, but in DK, it is just around 16 quintals. Though the environment is different, with the help of modern technologies and improved breeds the yield can be increased at least to 25 quintals. Without their effort, the agriculture department officials can’t pass on their responsibility to the shoulders of government, he said. Meanwhile, DK Zilla Panchayat President Asha Timmappa Gowda, herself a farmer said that in the district, it is difficult to store water in the sand mixed soil. There are more number of small land holders for whom transforming to mechanisation is not so easy. If the district gets more check dams and machineries like harvesters for rent, it would be easy to grow two crops in a year. The Minister suggested that check damscan be built using Mahatma Gandhi National Employment Guarantee (MGNEG) schemes. 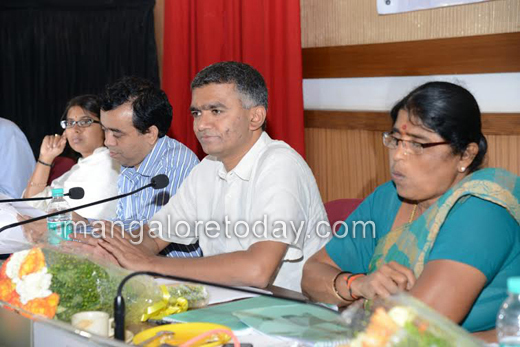 Responding to a query, Krishna Byre Gowda said that the farmer facilitators in the district are not exposed much and he directed the officials to arrange training programmes to all facilitators and exposure tours to other districts. They should gain field knowledge not only through academics, but also by experienced farmers, he said. 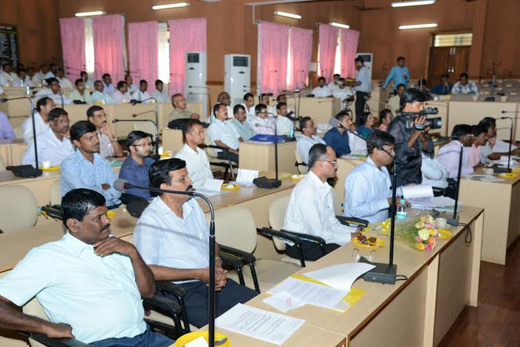 Agriculture Department District Commissioner Subhodh Yadhav suggested the senior officials of the department to give first priority to field work. Health and Family Welfare Minister U T Khader, MLA Mohiuddin Bava, DC A B Ibrahim, Watershed Department Commissioner Shivananda Murthy, ZP CEO Tulasi Maddineni, Agriculture and Industry Standing Committee President Balakrishna Suvarna, Agriculture Department Joint Director Kempegowda were present. A good number of farmers and officials participated.